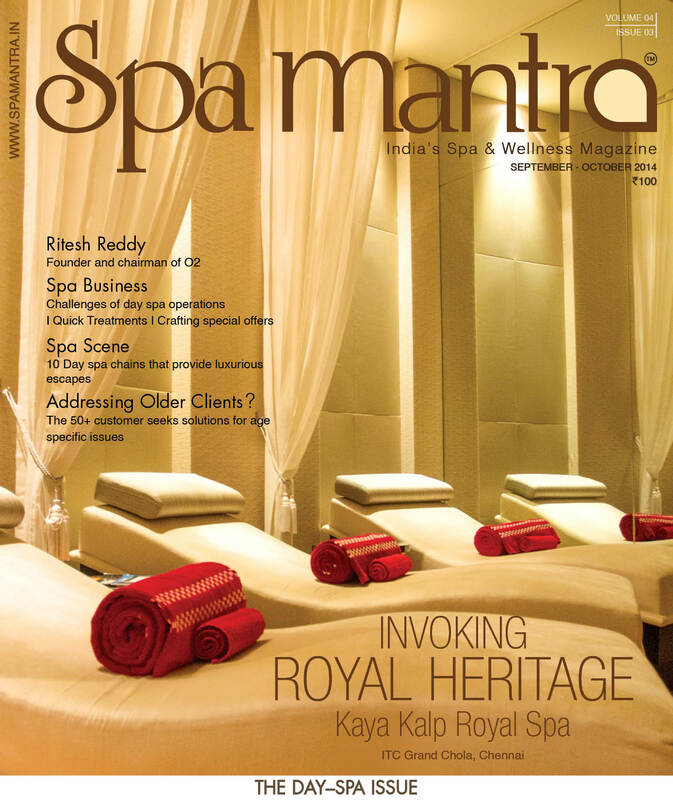 Spa Mantra globe trots to find the most effective and innovative holistic destinations of modern age. It is tough to bridge the gap or to blend in ancient science with modern-age technology in a spa or a wellness center to promote mental and physical care. Why? Because it calls upon every aspect or element that needs to be incepted, conceptualised and managed to bring it to life; from its ambiance to its structure (building, landscape, etc. ), and from its trained manpower (spa therapists) to licensed medical staff (doctors, nurses and assistants) and of course dining and accomodations also top the list. Only a handful of wellness set ups crack the code and manage to blend both worlds, accurately. 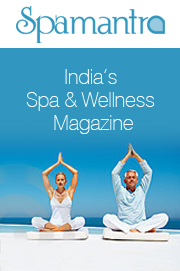 We list some of these fantastic holistic destinations, their facilities and services in this visual feature. Located within the beautiful Four Seasons Hotel Westlake Village, California Health & Longevity Institute is a luxury oasis, tucked away from the bustle of Los Angeles. The complex covers more than 20 pristine acres, with cascading waterfalls and lush gardens, along with extensive on-site meeting and conference facilities. California Health & Longevity Institute® (CHLI®) is a pioneering, world class facility and leader in science-based lifestyle rejuvenation. By implementing the practice of Kaizen, the Japanese philosophy of achieving sustainable change through small realistic steps, their experts follow a 360-degree approach to health and wellness. At CHLI, this philosophy incorporates every area of life that impacts health including: Medical, Nutrition, Fitness, Life Balance and Spa. This institute boasts of being the only place with offering a seamless integration of evidence-based medicine with qualified experts and programs designed to improve health and wellness for individuals and organizations. An on-site medical clinic fuses the latest breakthroughs in Western preventive-care medicine with complementary and alternative Eastern medical techniques, and houses a complete imaging suite, dermatology center and a medical laboratory. Facilities: 270 spacious guest rooms and suites at the Four Seasons Hotel Westlake Village, 16,000-square-feet fitness center featuring world-class equipment, Mediterranean-inspired lap pool, and sauna, The Spa at Four Seasons, 6200-square-feet sound stage and a production studio. Treatments & Programs: Programs and Packages integrate medical capabilities, fitness sessions and workshops, spa treatments from The Spa at Four Seasons Hotel Westlake Village, healthy-cooking demonstrations and classes, interactive workshops on stress management and other topics as well as the latest technological advances in assessing and changing lifestyle habits. Touted as a ‘Haven of Life’, Chiva-Som comfortably sits on the Gulf of Thailand creating the most perfect ambience to detox and revitalize oneself. Chiva-Som is about learning to live, making one notice, enjoy and appreciate every moment, and in so doing, creating a personal path to health and wellness. Nestled within seven acres of lush tropical gardens, the beachfront health resort represents tranquility at its best with luxurious accommodation comprising 58 stylish rooms; Thai Pavilions offer traditional charm and Ocean View rooms and suites provide spectacular views of the Gulf of Thailand. 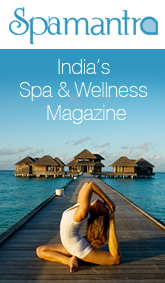 In 15 years of its success, the wellness destination spa is known to every travel and leisure magazine and has won various awards for its excellent offerings and services. Apart from fitness and spa treatments, Chiva-Som also provides a selection of options based on holistic diagnostic services, ranging from medical and complementary medical services, through detoxification to homeopathy, fertility, nutrition and personalised supplementation. Facilities: 58 stylish luxurious rooms, 72 Chiva-Som Spa treatment rooms, Niranlanda Medi-Spa, lounges and restaurants that also serves spa cuisine meals, library, pools and Chiva-Som Boutique. Treatments & Therapies: Extensive range of over 150 treatments, fitness with Tai Chi, Pilates and personal training classes, heal the mind and body through yogic technologies, holistic health therapies and medical services, physiotherapy and medi spa services for advanced body, hair and beauty treamtnets. Located at a quiet spot on the island’s northeast coast, The Golden Rock Retreat is known as an innovative detox and healing center. Recently the Golden Rock was titled one of Bali’s best detox retreats. Here they believe that one cannot simply detox the body and ignore the mind. As the body begins to cleanse, negative energies that may be blocked and stored in the body are released at a mental and emotional level. This gives one a great opportunity to process and let go of years of accumulated stress and negative mental patterns. Guests are encouraged to take personal responsibility in their healing process and enjoy the peace and tranquillity of the retreat. Golden Rock’s programmes take into account that every individual has their own needs and each detox experience is different for everyone. Hence it is mandatory for the resort’s Health Manager to guide individuals through the process and discuss their own individual needs during their stay. Among the various treatments and therapies offered here the most unique ones are Bio Magnetic Resonance, Ozone therapy and Infra Red Sauna treatment. Guests can opt from four, seven and 10 day cleanse programs, and one can choose to stay longer than the program too. Treatments & Therapies: A wide range of therapeutic treatments include infra-red sauna treatments, massage, nutrition consultations and supplements along with ozone and oxygen therapy, massages and yoga & Chi Gung. Kamalaya, an award-winning Wellness Sanctuary and Holistic Spa resort rests around a monks’ cave that once served Buddhist priests as a place of meditation and spiritual retreat. Besides being located at a picturesque beachfront what really lures tourists from around the globe are its holistic wellness programs for the body, mind and spirit. The tranquil place gets its name from ancient symbols for growth and unfolding of the human spirit which is Lotus (Kamal) and Realm (Alaya). Dynamic duo John & Karina Stewart are founders of this holistic wellbeing destination and it is their vision, passion and the desire to serve, Kamalaya stands tall today. Its holistic approach to wellness includes integral Wellness Programs that are essentially about promoting wellness on multiple levels for body, of mind and spirit. The programs are specifically split into nine segments namely –healthy lifestyle, detox, stress & burn out, emotional balance, Wellness à la carte, Yoga, Longevity, Asian Alchemy and Awakening & Meditation. Accomodations ranging from luxurious rooms to plush villas are offered to its guests. In the recent past, Kamalaya has bagged some of the world’s most coveted titles and awards from spa and resort organisations and leading magazines from around the world. Programs: Kamalaya specializes in various programs like Detox, Stress & Burn out, Optimal Fitness, Sleep Enhancement, Holistic activities, Emotional balance, and Wellness à la carte, Yoga, Longevity, Asian Alchemy and Awakening & Meditation. Situated on 30 acres of organic farms, filled with aromatic, herbal and Ayurvedic medicinal plants, and with the tranquil and unpolluted freshness in the air. It is also home to over 75 species of birds and exotic butterflies, and other farm animals like rabbits, turkeys, ducks and guinea fowls, bringing one so close to nature that one can connect with their inner self. SOUKYA was conceived by Dr. Issac Mathai and assisted by his wife, Suja Issac, who reside within the property and are personally involved in the daily operation of running it. At Soukya one’s natural balance is restored with the integration of diverse traditional systems of medicine like Ayurveda, Naturopathy, Homeopathy and complementary therapies like Yoga, Acupuncture, Hydrotherapy, Mud therapy, etc. from around the world, which is not exclusive of Allopathy or Western medicine and modern medical advancements. The focus is on health promotion, early intervention, and the treatment of illnesses. Facilities: 25 deluxe rooms comprising of a Presidential Suite, a Royal Suite and deluxe rooms with luxurious facilities. Recreational facilities include a swimming pool and a shuttle court, snooker, table tennis and board games. There is also a library which stocks books on health and wellness related subjects. Spa includes aTurkish Rassoul, Hydrotherapy, Vichy Shower, Circular Jet. Treatments & Therapies: Medical services to treat conditions like Arthritis, Cervical Spondylosis, Lower back pain, Joint pains, Aches, Cardiac problems, Hypertension, Diabetes, Respitatory ailments – Asthma, Bronchitis, Wheezing & Allergies, Liver conditions like Alcoholic liver cirrhosis, etc, De-Addiction, Weight Management (hormone related), Fibromyalgia or Chronic Fatigue Syndrome, Irritable Bowel Syndrome. Wellness Programmes include: Weight Management (due to lifestyle), Anti-ageing, Rejuvenation – Detoxification, Stress Management, Speciality treatments and Life Management Programmes to improve quality of life and transform people. The secluded shore of Sernabatim Beach, South Goa, is home to a wellness boutique- The Beach House. The wellness house guests enjoy the picturesque ambiance and the benefits of innovative all-inclusive programs. The Beach House provides the unique opportunity for total rejuvenation. Sanda Retreats, an international brand known for customized programs/retreats brought this wellness set up to Goa for its discerning fans and guests. The retreat house has learned the knick-knacks of the wellness world and hence presents to its guests a combination of ancient traditions with cutting edge technology. The Beach House proffers a mixture of medical and holistic therapies providing all the means necessary for complete body and mind rejuvenation. Of all its tactfully crafted programs the Senior Citizen Program is one of the retreats highlights, where the detox program is tailored with emphasis on elements which are beneficial for a more relaxed lifestyle. Another unique program, ideal for airline crew and frequent business travellers, is the Fly Fittest retreat for those who are always on the move. Programs: Celebrating Life (senior citizens), Monsoon Cleanse, Fly Fittest, Total Body Rebalancing, Ayurvedic Indian Detox Retreat, Weight Management, Juice Fasting Detox, Rejuvenate and Revitalize, Yoga & Spa and Toga Foundation Course. Treatments: – Ayurveda Abhyangam, Massages like total body massage, Aromatherapy, Lymphatic, Sports and Balinese. Contact:The Beach House, Goa Sernabatim Beach, Goa 403709, India. Tel: +91 832 6697733. Website: www.thebeachhousegoa.com. Apart from the fantastic ambience, The Farm at San Benito aces in offering luxurious services and stay. From soothing retreats to state-of-the art facilities, the wellness santuary is touted as being one of Asia’s Most Romantic Resorts. Among the various calming retreats here at The Farm, the Cleanse! 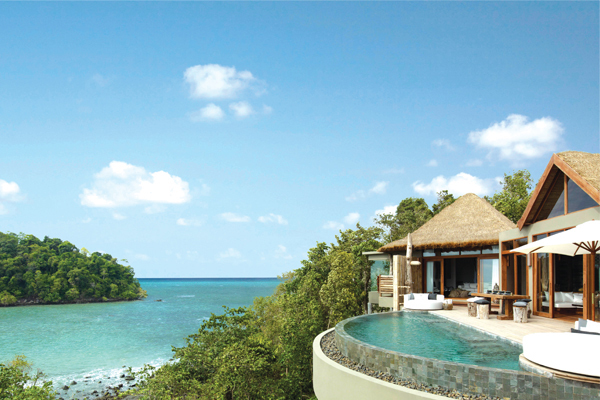 Wellness Holiday (retreat) is honoured with 29 pretigious international awards. The Wellness Holiday promotes organic food and drink, the healing power of touch, the wonder of modern science and the need for some good, old-fashioned sweat. The holistic spot boasts of its tranquil Healing Sanctuary Spa where guests can unwind and relax. The Farm also has a well-equipped gyms or yoga pavilions. Unlike conventional destination spas the resort also offers integrated medical services delivered and monitored by four licensed doctors who have embarked on self-directed international studies on their respective fields of interest after their post-graduate medical studies. Programs: For longer stays one can choose from three programs namely- Wellness Holiday, Detox Cleanse, Specialised healing retreats, one can opt for a day’s visit too. Treatments: At the Spa- signature treatments, Fillipino body treatments, scrubs, wraps, nails & hair sanctuary and facials. While intergrated medical services includes acupunture, reiki, art therapy, biorhythm Analysis, etc. TRIA’s concept is an understanding of Integrative Medicine as the link between conventional medicine and evidence-based Complementary and Alternative medicine (CAM). Integrative medicine refers to the practice of incorporating alternative medical therapies into conventional or Western medical regimens and the simultaneous use of conventional and alternative medical treatments by medical practitioners. The journey at Tria would begin with an Integrated Medical consultation. A thorough case history is with lab tests conducted only when necessary. From here the client is advised of a correct path of action to take to guide them towards their goal in wellness. An example of case study at Tria would be a client who presents with chronic lower back pain, intermittent headaches, food allergies, stress, difficulties losing weight, irritable bowel syndrome (IBS), weak hair and nails, anxiety, sadness and frequent illnesses. The client would consult with an integrated wellness doctor, chiropractor, naturopath, acupuncturist and psychologist as part of the treatment. Treatments & Therapies: Segregated into four broad categories like Healthcare Services, Skin & Beauty, Medical Spa & Bodywork and Movement. Life coaching, Stress management, Kinesiology and IV Therapies too are undertaken here. Apr 7, 2014 7:57 am 0 Comments.